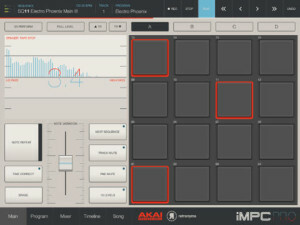 iMPC Pro is a 64-track music production powerhouse for your iPad. With built-in sampling functionality, a massive sound library, effects, and over 30 performance-driven features, iMPC Pro brings the functionality of Akai Professional’s coveted Music Production Center to your iPad. 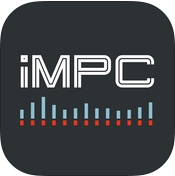 Developed in partnership with Retronyms, the developers of the original iMPC app, iMPC Pro comes with pro-grade tools for intuitive beat creation whenever inspiration strikes. It combines multiple sampling methods, producer-tested MPC features, a custom sample library from Richard Devine, and an intuitive gestural editor for the most powerful, creative and fun iPad music production experience yet. -New Auto mode found in Slice Loop. This automatically detects your sample’s transients for quick slicing and provides a good alternative to Grid mode. -New BitCrusher effect called “W-Crusher”. Look for it under the per-pad parameters FX next to St. Louis Drive distortion and Ring-a-Ding ringmod. -Updated with AudioCopy SDK 3.2 which removes the need for you to tap AudioCopy notifications to complete copy. Other apps supporting AudioCopy SDK will need to update to 3.2 SDK to remove this tap notification to copy feature. -New MIDI Learn feature lets you easily map your MIDI controllers. -Updated Ableton Link to the most recent version. -Overall Improved performance, stability and quality, bug fixes. ElectroBeats is a very intuitive beat making application conceived in collaboration with worldwide renowned and most demanded producer David Guetta. Right away, you’ll create great sounding beats thanks to a powerful real-time approach and an impressive sound library. EXCLUSIVE : included the sounds from David Guetta’s new single “Who’s That Chick” featuring Rihanna. * Exclusive and electro oriented sound library. * Note Repeat in multiple resolutions. * Dynamically change the quantize/repeat resolution while recording : the key to build beats very fast. * Full version available with complete save and export capabilities, synthesis oscillators and huge sound library. 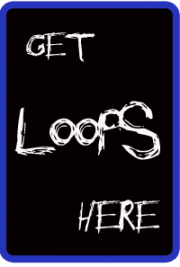 * Hundreds of patterns to use with the drum kits. * Multitrack export for use in sequencers like Logic™, Live™, ProTools™, Cubase™ and many more.